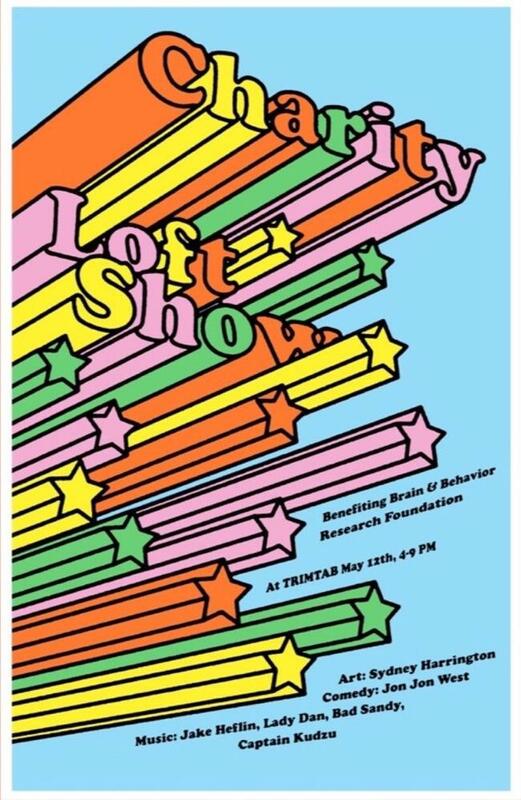 May is Mental Health Month, and The Loft Show co-creators Cat Hyman and Josh Cox have planned a special charity event at Trim Tab Brewing to raise funds for the cause. On Saturday, May 12, Trim Tab Brewing will host live music, comedy, and graphic arts. The event comes one day after Mental Health Awareness Day, and donations will go to the Brain and Behavior Foundation, an organization that awards grants to fund mental health research. So far, the Foundation has funded over 4,500 scientists working to better understand and treat mental illness. “We’ve wanted to do charity events from the beginning,” says Hyman. “We’re planning to do two per year now, and mental health seemed like the best place to start.” The Foundation’s grants may go on to help people dealing with addiction, depression, PTSD, and other issues. 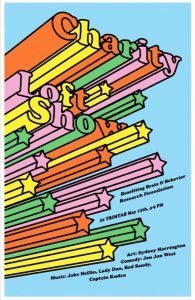 The Loft Show’s organizers have assembled an eclectic mix of genres and mediums in support of their cause. “For this one, we have artists that have all played a Loft Show in the past,” says Cox. Musicians include Jake Heflin, Lady Dan, Bad Sandy, and Captain Kudzu. There will be a break between sets for comedy by Jon Jon West, and visual art will come together before your very eyes courtesy of Sydney Harrington. While you enjoy one of Trim Tab’s craft beers or kombucha, feel free to enter the raffle to win gift cards to local restaurants. 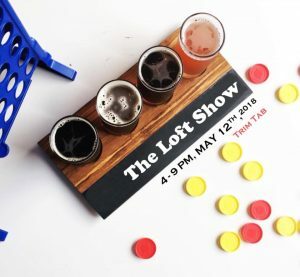 Keep up with The Loft Show’s upcoming events right here. The event starts at 4 p.m. Trim Tab is located at 2721 5th Ave S, Birmingham, Alabama 35233. Poster art by Andrew Thomson.